Ian is a partner with Payne Hicks Beach solicitors. He is head of the Family Department. Ian advises on all aspects of family law, but specialises in complex cases – often involving an international element. He acted for Mrs White in White v White, the ground breaking House of Lords decision on distribution of property and assets on divorce. 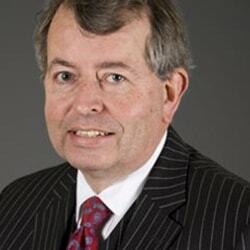 Chambers legal directory has described Ian as “conscientious, highly experienced and insightful” and having “bags of common sense” and “very supportive and a delight to work with”. It also notes Ian’s capabilities “in complex matrimonial finance cases, especially those involving international elements”. The Legal 500 writes that “practice head Ian Airey has a superb reputation” and is “hugely able and experienced”. Ian has sat as a Deputy District Judge in the Central Family Court and the Principal Registry of the Family Division since 1999. He is a member of the International Bar Association and is a Fellow of the International Academy of Matrimonial Lawyers.